Our Blog For All Things Lovely! : Summer Essentials! A lot of you broke up for summer last week, so yay for summer! I broke up in May, like some of you might have, so yay for ridiculously long summer! 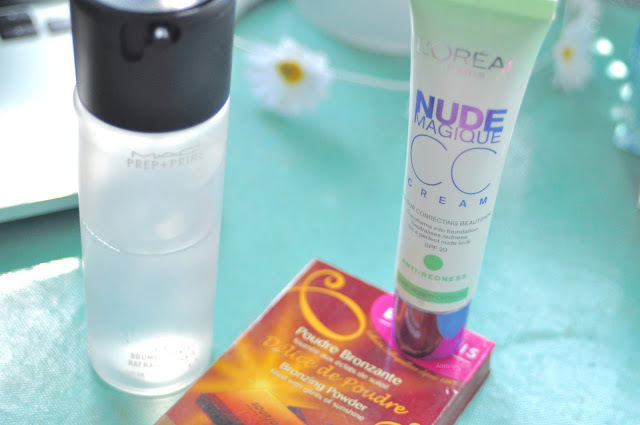 This post is my summer beauty essentials and is another collaboration with the lovely Lauren! M.A.C Fix+ is my first essential. In the summer your makeup doesn't last as long because of the warm weather which makes priming and setting your makeup all the more important. However, some primers can feel heavy and you don't want to constantly be powdering your face. Fix+ is a spray, it feels refreshing to spritz onto your skin before and after your makeup and will help it to last longer! L'oreal CC Cream is my next essential, it provides a light-medium coverage and adapts to your skin tone, the green colour counteracts any redness in your skin! Another reason I'm including this is because if you tan when you're on holiday it will adapt to that skin tone too, so you don't need to pack numerous different foundations for your changing skin tone! If you have a pink/cool undertone to your skin it will appear very yellow on you, so it's definitely one for you if you have a more yellow undertone to your skin. The Bourjois Chocolate Bronzer not only smells amazing but I love the way it warms up your complexion and I think it should be an essential for everyones summer makeup! They also do a half-highlighter half-bronzer version now! 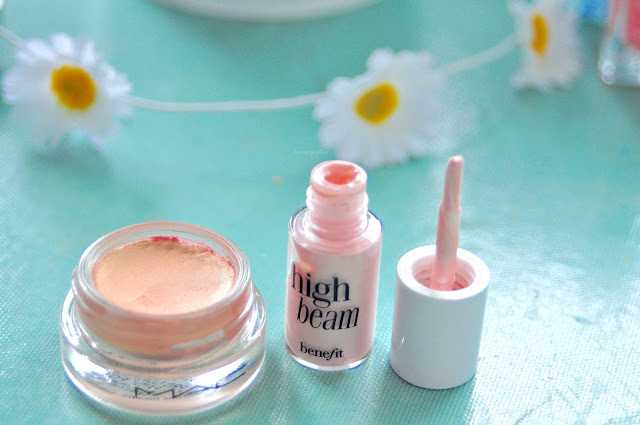 Along with the lighter feeling makeup theme, a liquid highlighter such as the Benefit High Beam is perfect for summer. It adds a subtle glow and sits beautifully on the skin. M.A.C Pro-Longwear Paint Pot in Rubenesque is my favourite eyeshadow at the moment, the shade is a beautiful peach-gold and will look incredible with all skin tones. As the name suggests, it lasts a long time without creasing! 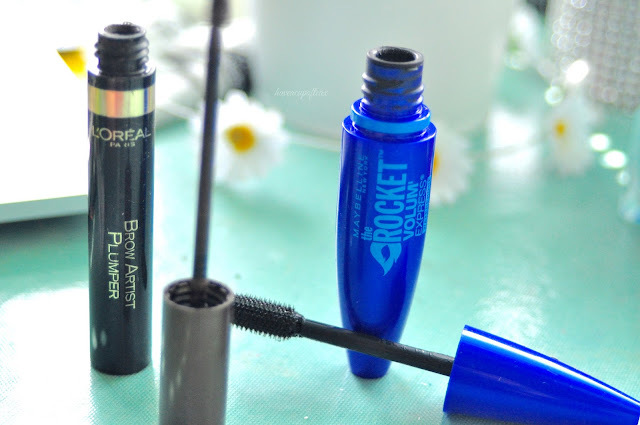 Waterproof mascara is an all year round essential for me, it holds the curl much much better than a normal mascara, but in summer its great because it won't run! 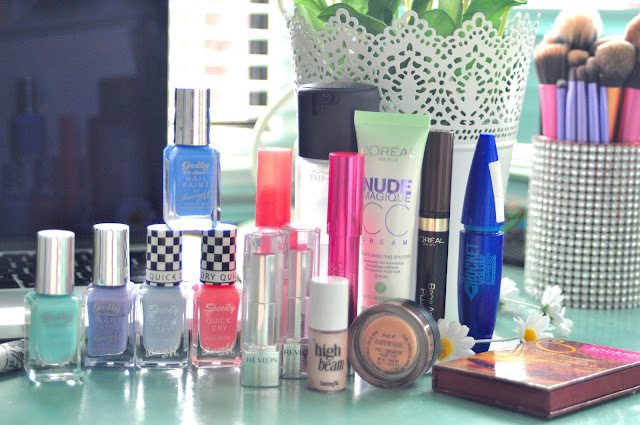 My favourite is Maybelline the Rocket, I've been using it for ages and it's never let me down! Brows are so important, they can completely transform the way your face looks, so its important to keep them in place, a brow gel is an easy and quick way you can make your brows look fab and for them to stay in place. I love the L'Oreal Brow Artist Plumper, it comes in two different shades and also in transparent! In summer it's fun to try out brighter lip colours. 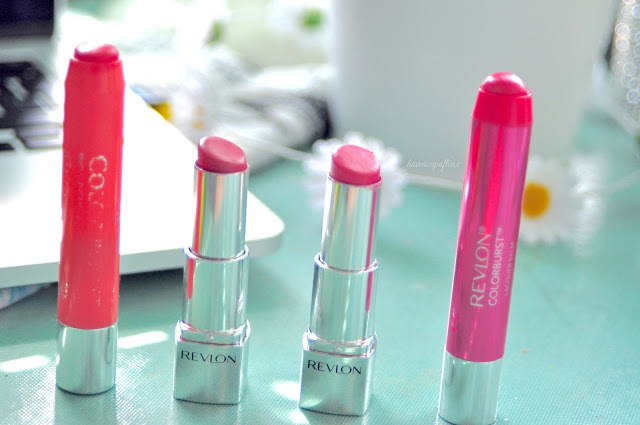 Bourjois Colour Boost in Peach on the Beach, the new and Revlon Ultra HD lipsticks in HD Rose and HD Peony and Revlon Colour burst Lacquer balm in Coquette are all gorgeous shades for the summer! They're all nice and moisturising too! 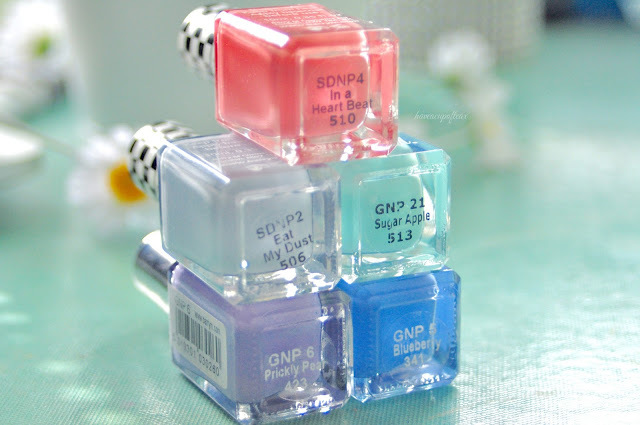 Barry M Blueberry and Prickly Pear were two nail polishes I loved wearing on holiday last year, and i still love them, In a Heart Beat, Eat My dust and Sugar Apple are relatively new to my collection but they're also perfect for the summer. I particularly love In a Heart Beat for my toes! I hope you enjoyed this post, I really enjoyed writing it, and collaborating with Lauren is always a pleasure, you can tell how hard she works on all her blogposts so please go and follow her blog and other social media, you will thank me;) Click here to go to the blogpost she did! What are some of your essentials for summer? I hope you're enjoying your summer so far! My song recommendation for today's post is actually a whole album, Handwritten by Shawn Mendes. I couldn't choose just one song because I love every single one and it still baffles me that he is the same age as me, has released an album and been so successful with it!